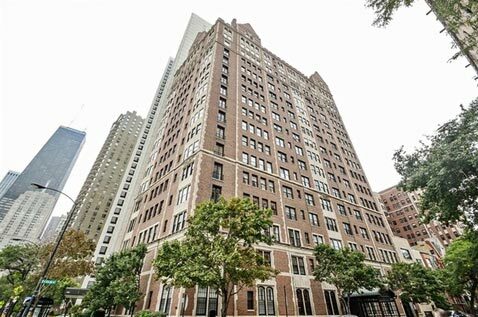 1120 N Lake Shore is an elegant co-op building with well preserved architecture and vintage details. Co-op board allows for 75% financing for purchases. There is no on-site parking at the building, but nearby options are available. 1120 N Lake Shore Drive is an elegant brick co-op building erected in 1924. The building has recently been renovated to restore it to its original beauty. Located in the afluent Gold Coast neighborhood, residents will find no shortage of world-class dining and shopping while enjoying easy access to the lake and beach just across the street. Building amenities include a doorman, outdoor patio, an exercise room, and storage. Residences of 1120 North Lake Shore Drive are loaded with vintage charm and character while also featuring modern fixtures and amenities. Units also feature exceptional and unobstructed views of the lake and city skyline. 1120 N Lake Shore Drive allows both cats and dogs. Leased parking is available nearby.